The history of BAYADA Home Health Care dates back to 1975 and a vision to help people live safely at home with comfort, independence, and dignity. Since then, we have grown from our humble beginnings, made the unprecedented transition to a nonprofit organization, and become a national leader by attracting like-minded and compassionate professionals to join us in our mission. We recognize the trust our clients place in us every time BAYADA enters their homes, and we understand nothing is more important than their safety and well-being. We provide the highest quality care in the home spanning every age group and level of care: from pediatrics to geriatrics, and from critical care to just being there. Our name has evolved over the years — from RN Homecare to Bayada Nurses to BAYADA Home Health Care — to reflect the evolution in the depth and breadth of our services. The one thing that will never change is our commitment to providing exceptional care with compassion, excellence, and reliability. It’s embedded in our culture and the philosophy of The BAYADA Way. If you or a family member ever needs care, we are just a phone call away, 24 hours a day, 7 days a week. Pediatrics is a BAYADA specialty practice that includes nursing, therapeutic, and assistive home health care services for children under the age of 18. These services are provided by nurses and home health aides who are experts in caring for children from newborns to adolescents, including those requiring complex, high-tech care. 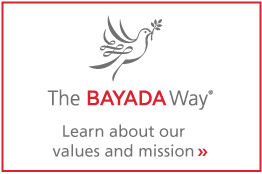 Our company philosophy, The BAYADA Way expresses the values and beliefs that have been the foundation of our work since 1975. The words of The BAYADA Way come directly from our clients and their families, and our employees. 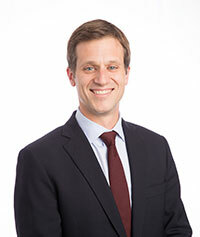 We believe that our clients come first and our employees are our greatest asset.